Never been listed! This is a one of a kind Oceanfront Property with Spectacular Ocean & Catalina Island Views, Modern Finishes, with an Impeccable Location to Everything. Hear and See the waves throughout the living of this property with an expansive exterior deck that expands this property to an open indoor and outdoor living concept. 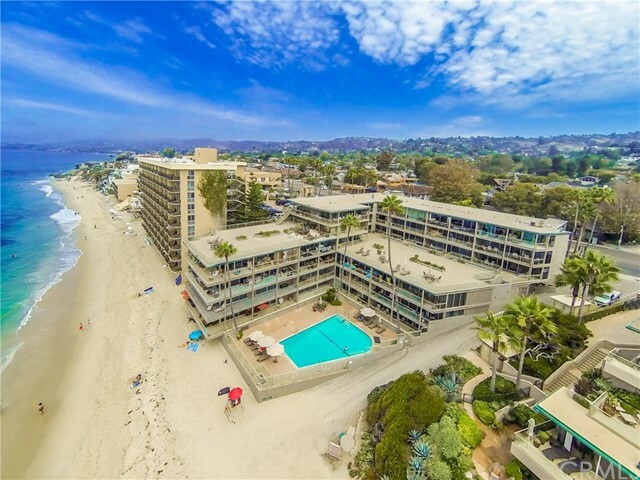 Enjoy the best of both worlds with toes in the Sand and Heated Pool with a very short walk to Laguna’s finest oceanfront restaurants and shopping. Wonderfully updated, featuring: ceasarstone countertops, stainless steel appliances, and updated kitchen and bathrooms with clean white penny tile flooring. 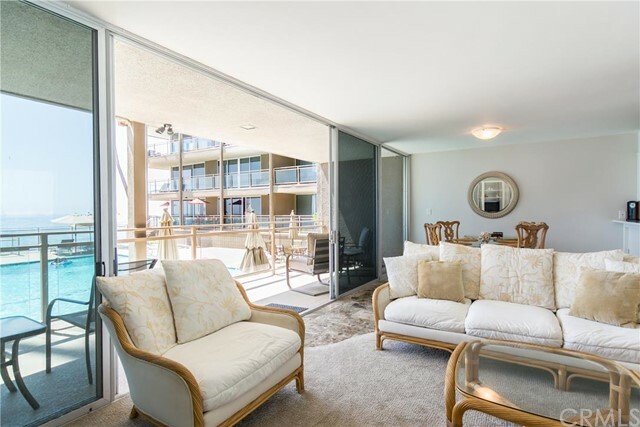 Perfectly situated just a few steps down to the pool, beach and gated parking garage. Take the elevator up to two separate rooftop decks to enjoy the heights and coastline views from this spectacular property.